Welcome to Cherry Blossom Montessori Preschool. 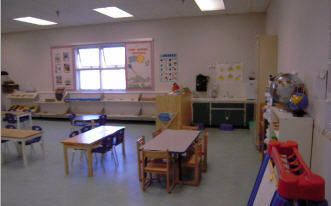 Cherry Blossom Montessori Preschool serves children from 32 months to 6 years old (born before Dec. 31 of that year). We are using the philosophy and curriculum of Dr. Maria Montessori. At Cherry Blossom Montessori, we provide a safe and stimulating environment to nurture the children, as they are little 'buds' waiting to blossom. We provide an enriched program which emphasizes on educating the whole child, covering all aspects of development - physically, cognitively, socially, emotionally and creatively. Children pass through sensitive periods of development in their early life. Dr. Montessori described the child's mind between births to six years of age as the "absorbent minds". It is during this period, that a child has tremendous abilities to learn. Dr. Montessori discovered that children like to work as well as play. Building upon children's intrinsic desire to learn, Dr Montessori created this ideal environment full of opportunities for children to explore for themselves. Based upon this principle, our classroom is prepared to suit the child developmental needs. The children progress at their own pace and rhythm, according to their individual capabilities. This remarkable vision and method of teaching help children to develop their habits, attitudes, skills and ideas that lead to a lifetime of creative thinking and learning. Our goal is to provide guidance to your children to build a strong learning foundation and to bring up their own potential. We are located at 4440 Blundell Road, Richmond, BC. The classroom is inside Grauer Elementary School. 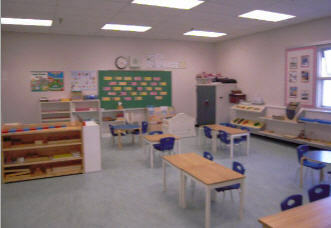 Our classroom is bright and airy with a warm and cheerful atmosphere. The room is filled with interesting objects to allow children to explore and learn from the environment. The school has a large field and a playground where children can have some fun. Copyright 2003 Cherry Blossom Montessori Preschool. All right reserved. Designed by Arcadia Consultants. Tel:(604) 722-3190.